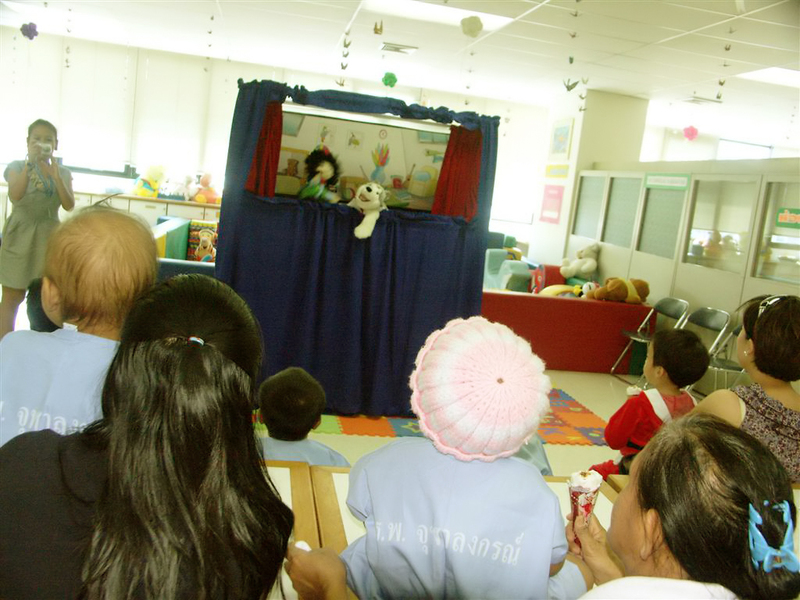 Our volunteer center is involved in a variety of programs throughout Thailand with focus on helping children. Activated Ministries has truly helped in a big way to make many of our projects possible through their donation of educational and motivational products that we distribute to schools and centers for children. During this trying time for Thailand, with various uncertainties and the shadow of the worldwide economic crisis overhead, our goal is to give love and hope which is so desperately needed by all. These stories show how Activated Ministries has helped us to reach that goal. Our team has worked to help schools in the Chiangmai province in the northern region of Thailand for the past six years. Over the years we have been able to distribute donated educational materials, clothes, toys, and also meet more specific needs presented by schools - from books teaching computer maintenance to water filtration systems. During a recent return visit to a school where we had helped to set up a computer lab, one of the teachers suggested that we visit a nearby school which had kindergarten and primary students with many different needs. We made our way there a few days later, ready to distribute clothes, toys, and a Value Education set from Activated Ministries. On arrival we were greeted by the principle and we were surprised as we both recognized each other immediately. Even though he is older, we had nevertheless seen him numerous times before playing soccer in the afternoons with the neighborhood kids - who obviously had great respect for him. This is just a small example of how much Thai rural teachers truly care about the children they teach. He was very happy to receive what we had brought, especially the Value Education set from Activated Ministries. He commented how during this time of economic pressure, the education budget for schools had been tightened to the extent that many schools had to close down. He expressed how thankful he was that we cared enough to search out those in need of help, like the children in his school, and how these educational materials were perfect for the school’s library and for use by the English teachers. In the end we were able to distribute goods to about 200 children and give Value Education sets from Activated Ministries to the primary school and kindergarten teachers to use in their curriculum. 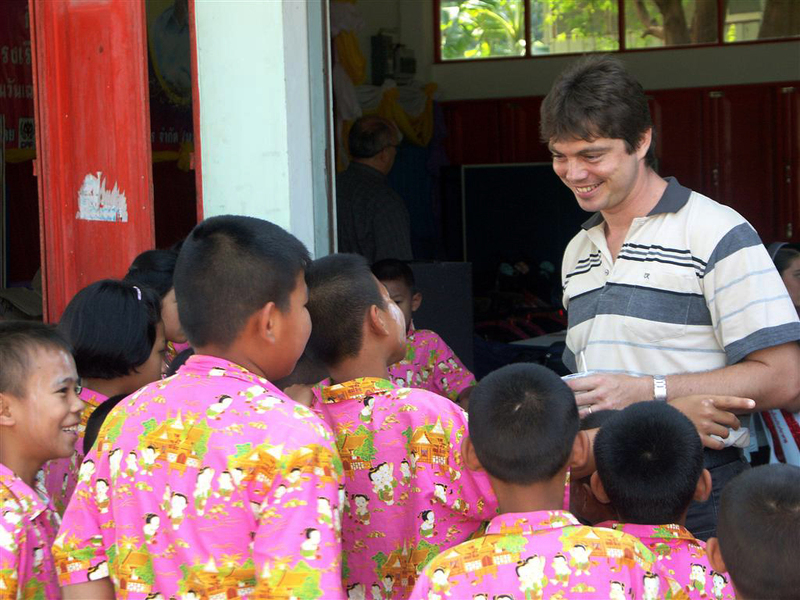 Over the last ten years, we have worked with the Education Department in the Petchburi province, near the Burmese border, helping to organize school programs and aid for over 100 schools. During the course of our work we often hear about needy schools in remote areas that are in need of supplies for the children, educational materials and teaching aids. Recently one such school was brought to our attention, so we contacted them. Needless to say, they were very happy to hear that we wanted to visit them and organize an English camp, as well as donate a Value Education set from Activated Ministries. It took quite some time to find the school, which was located in a mountainous region many kilometers outside of Petchburi town, but once we got there the fun began in earnest. With a myriad of games, interaction and activities to help the children learn English, our English camp was a blast. But what the school's teachers liked the most was the Value Education set, and how it picked up where our English camp had left off. The teachers expressed how these products (with songs, stories, and activity booklets in Thai and English) would make great teaching aids. They also told us that for many of the children, being able to take part in an English learning event like the one we organized, and receiving books to call their very own, was a once-in-a-lifetime event, and that they would be sure to remember it for years to come. 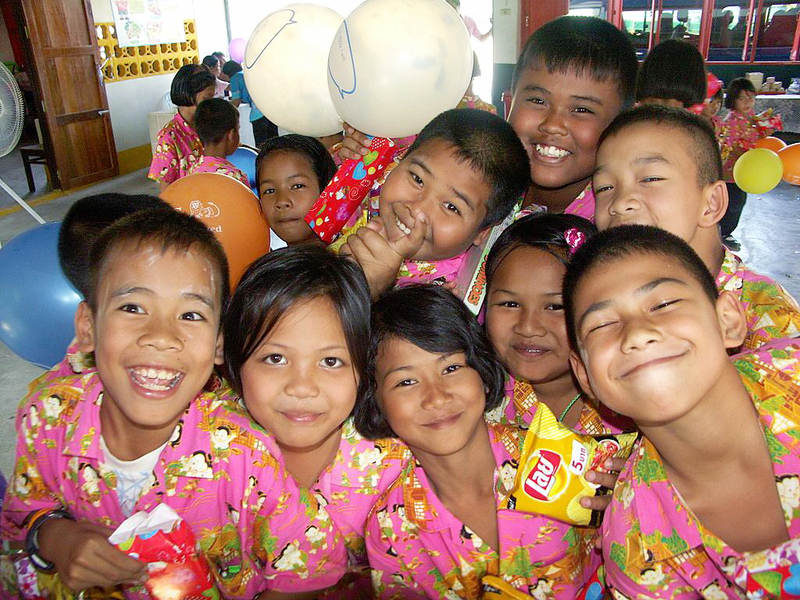 We have worked together with a rehabilitation center for abused children on the outskirts of Bangkok for many years. Founded by a devoted couple who have worked tirelessly for over two decades to help these children receive the love and healing that they so desperately need, the center has beena lifesaver for hundreds of children. We have simply tried to help in whatever way we can through such things as regular visits, helping to arrange English teaching, fun activities and motivational programs. Some time ago we began organizing consistent motivational classes during each of our bi-weekly visitsto the center. The key to this program is having ongoing classes on different real-to-life topics, which the children can relate to and learn from. We have found that the products we received from Activated Ministries, such as the character building Treasure Attic video series, has been an integral part of making these classes a success. We use a different episode of Treasure Attic for each class, and as each has a separate topic that can be expounded on, it's the perfect foundation for a motivational class. The children love these lively classes, which also include outrageous skits, discussion points, and worksheets. We've seen a lot of progress come from these classes, and they have also resulted in one very important development - a forum to discuss life and self-improvement, which is an important element for these children who need healing from their past trauma. This is simply another case of the products from Activated Ministries coming to the rescue, and filling the need perfectly. 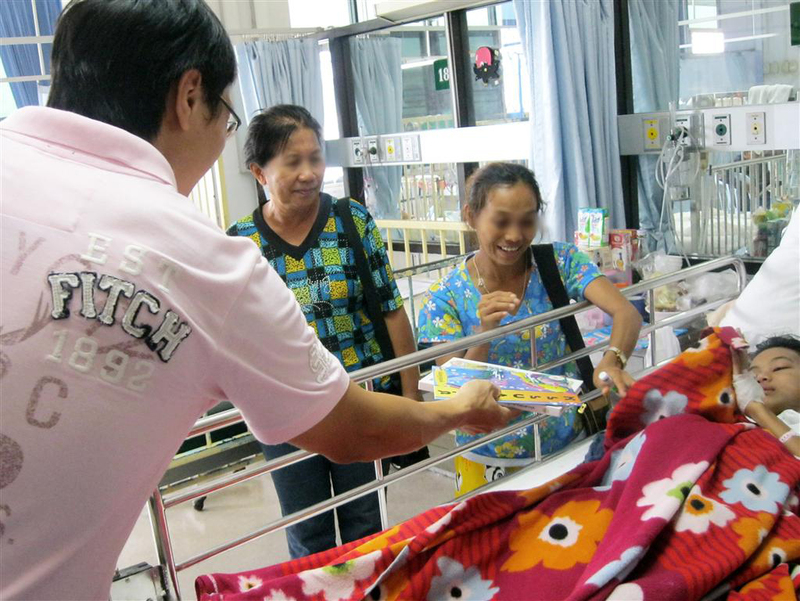 Recently we started a new program; weekly visits to the children's wards of a local hospital. Our goal is to give encouragement to the children and the parents by conducting fun activities, distributing motivational materials and fostering friendships. So far, we have made the first few initial visits of what will be a total of three months of weekly visitations. 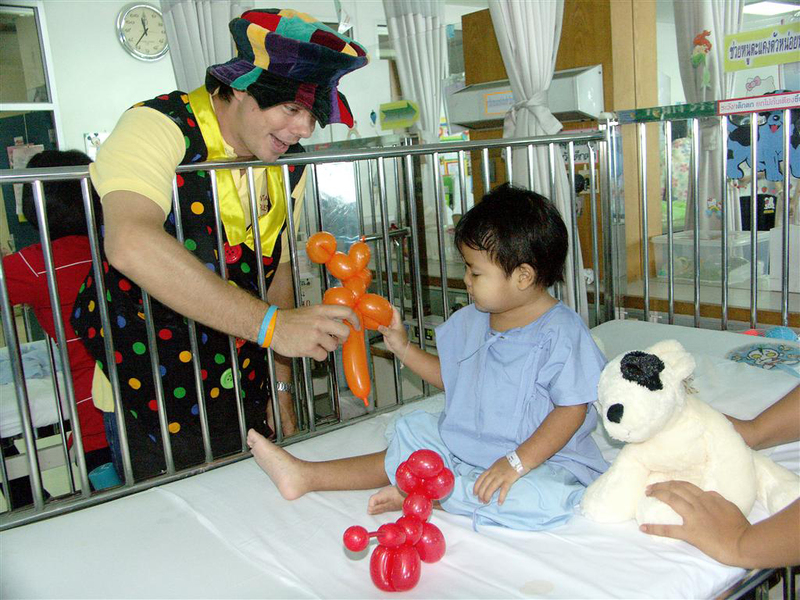 Each visit consists of visiting the bed-ridden patients of various children's wards, giving out toys and making balloons, as well as doing hand painting and telling stories, all with the purpose of connecting with each child and bringing them happiness and encouragement. And for the children who are strong enough to move around, we organize arts and craft activities, a clown show, magic show and puppet show, creating a memorable experience for them. Our initial visits have had a very positive response from the children, parents, and hospital staff. It is amazing how just a little bit of outgoing love can change an environment. A smile, a word of encouragement, an opportunity to laugh – it’s exciting to see these things simply transform the children, helping them to forget about their pain and fear, and instead have a positive perspective on life at that moment. What is extremely necessary was having something to leave with the children that would continue to help them keep that happiness and positive perspective, and Activated Ministries' products do just that! Because at the end of the day, after all is said and done, it's so important to leave these children and parents with something that carries a message of hope and happiness. The Grandpa Jake story books and Treasure Attic VCDs, with their positive morals, are perfect for the children. By being able to give these products to these needy children we can be confident that the spirit of positiveness and happiness will help them to retain such important lessons and values. I would like to personally thank Activated Ministries for the enormous part you play in making our work possible. 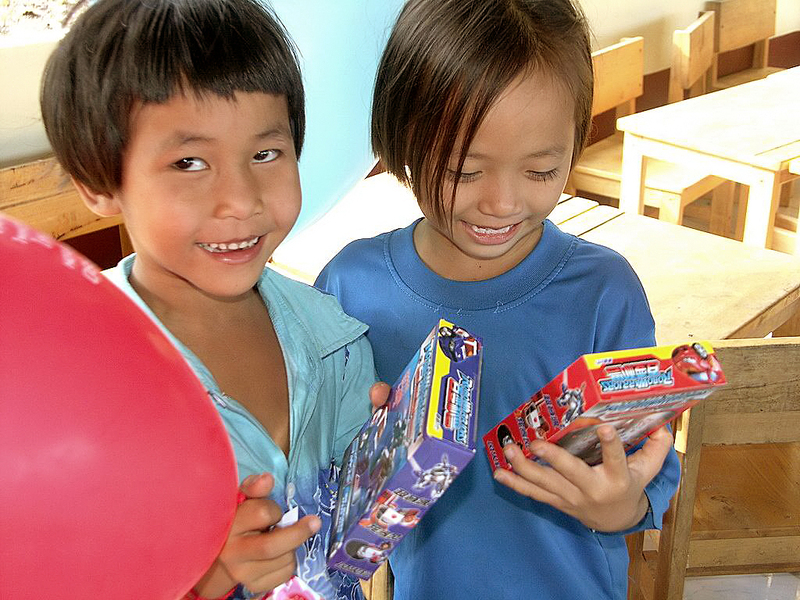 In the many projects we organize to help children throughout Thailand, having Activated Ministries as our partner gives us the confidence that each project will be a success because we know we have amazing products to give that have the ability to change lives. Activated Ministries, the smiles we see when we give your products and the stories we hear about the impact they have never cease to inspire us. 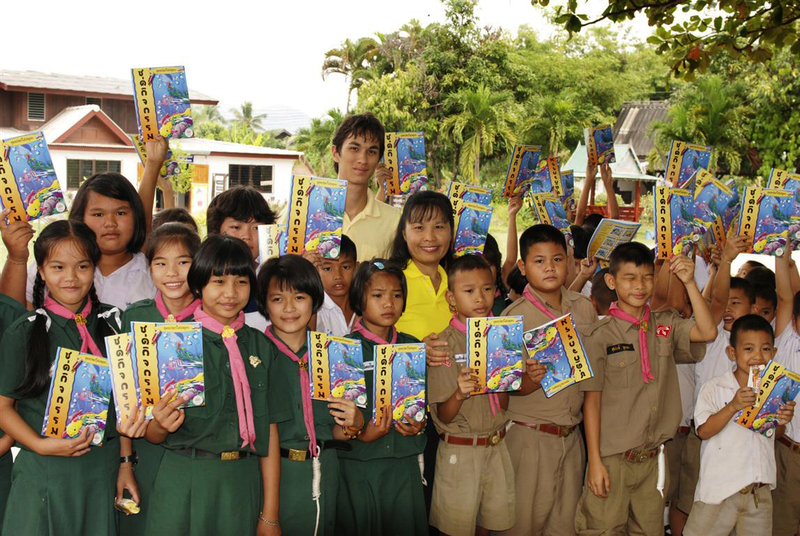 In total, we were able to distribute over 80 Treasure Attic VCDs, 1,050 Grandpa Jake activity books in Thai and English, over 60 Grandpa Jake storybooks, and 20 bilingual Mottos for Success calendars.Thank you, God bless you.